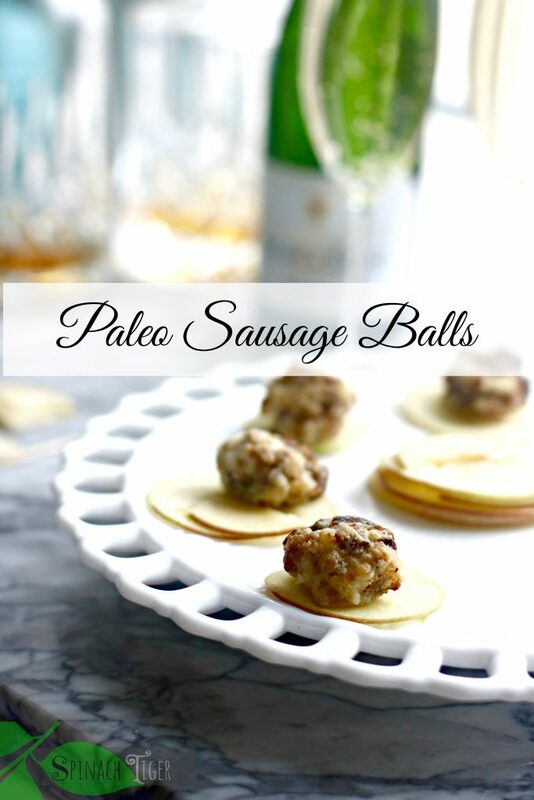 I just can’t believe I haven’t made sausage balls here. 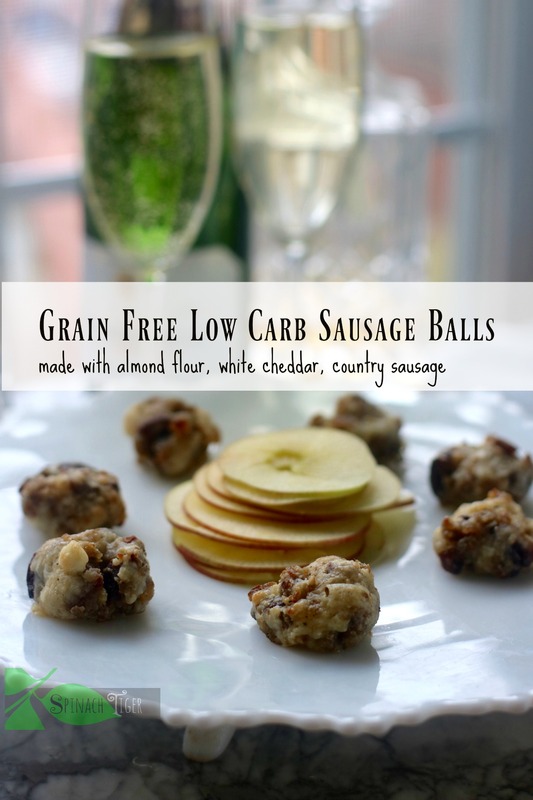 These are not only the tastiest sausage balls, they are grain free, made with almond flour, country sausage, happy eggs, and a good cheddar cheese. I made this super easy for you by sticking sausage patties in the oven (they are so easy to crumble later) and while they are baking, I shred my cheese and get out the rest of my ingredients. Once the sausage has cooled a few minutes, just crumble it up into the mixture. Roll into balls. A full recipe makes 30 balls. A half recipe makes 15. But why not double it and make 60; you’ll probably need them or you can freeze the left-overs for a quick, low carb snack. I used a Vermont White Cheddar. It melted beautifully, and had a great taste. I added in a small amount of Pecorino Romano to add salty, complex flavor. I used a spicy version of country sausage. You can use whatever you like, even chorizo or Italian. We like them for breakfast! This is a genius idea. No toothpicks necessary. 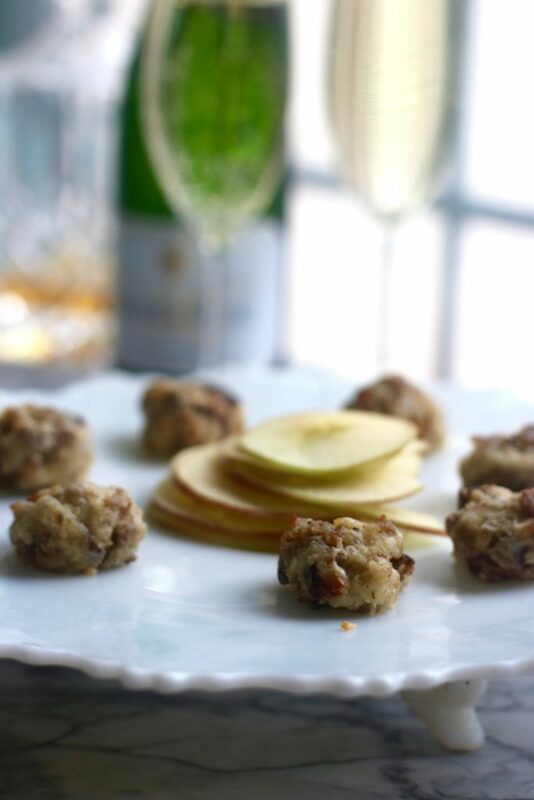 People can scoop their sausage balls with a thinly sliced apple and they taste great together. You can make your own like I did here. Or you can buy almond flour. This is a good brand. 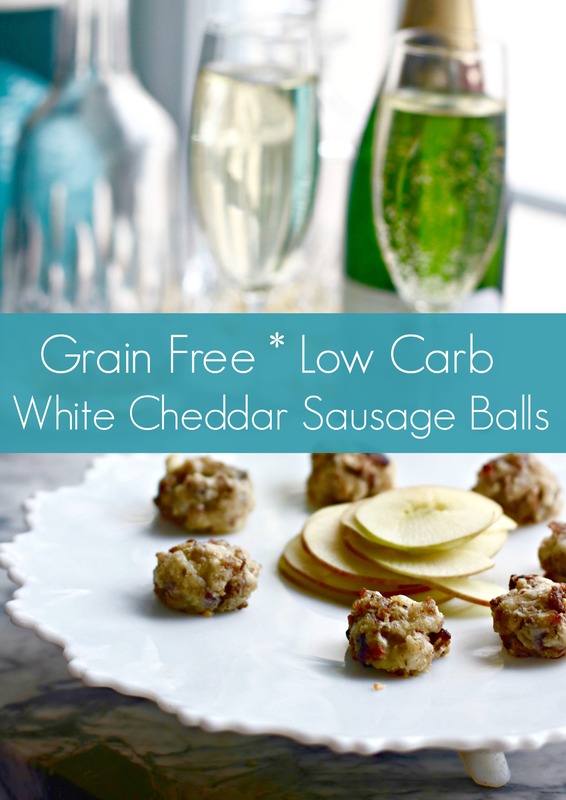 The anytime, anywhere easy sausage ball is gluten free, grain free and even fits the low carb diet. Happy New Year!